We still have many beautiful countries for your annual trip.So we bring you some destinations that can be visited on a budget of around Rs 60,000. Visiting the US or UK for a family trip is little too expensive an option for middle class Indians. But apart from these we still have many beautiful countries for your annual trip. Forget the myth that foreign travel is expensive! All you need is the right information, and so we bring you some destinations that can be visited on a budget of around Rs 60,000. The most-visited place by tourists every year. Dubai is very famous for its shopping festival. It has everything and will prove to be the best option if you are thinking of an International destination, since the place is known for many things- from luxury to shopping and from nightlife to desert safaris. 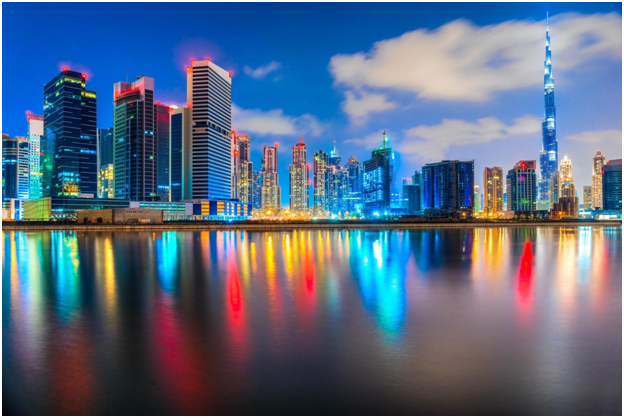 Must Visit Places: Burj Khalifa, Dubai Mall, Ferrari world, Desert Safaris, Atlantis Hotel, The Palm Resort and Jumeirah Mosque. Things to Buy: Electronics, Gold, Cosmetics and Perfumes. Expenses: Stay for 5 days under Rs 45,000 including food. Return flight tickets could be booked for as low as Rs. 14,000 (ex-Mumbai). Sri Lanka is another international destination which can be visited for the natural beauty, rich history and Buddhist tradition it possesses. Sri Lanka has amazing offerings for every nature and peace lover. From sandy beaches to rainforests and from national parks to Buddhist temples Sri Lanka has it all. Must visit places: Adam’s peak, Sigiriya, Temple of the tooth, Minneriya National park, Dambulla Cave temple, Bundala National park and Gangaramaya Buddhist temple. Things to Buy: Gems, Dutch Antiques, designer clothes and devil masks. Expenses: Stay for 7 days under Rs 13,000 including food. Economy return flight tickets start from Rs. 14,000 (ex-Mumbai). Mauritius is widely known for its beautiful beaches. 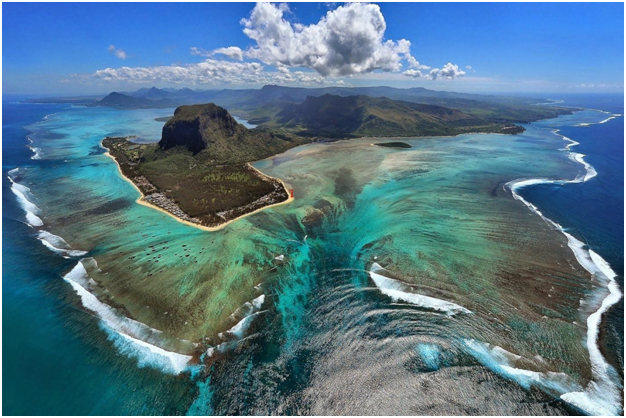 If you are a deep sea and marine life lover, then Mauritius is surely the place for you. Not only beaches, Mauritius also has lagoons, reefs and mountains for the tourists. The place also has national parks and rare fauna to offer and also 18th century botanical gardens. Must visit places: Ganga talao, Crocodile and giant tortoises park, Blue penny museum, Tamarind Falls, Trou aux Cerfs, Black river gorges National Park and Eureka house. Things to buy: Rum, spices, tea and sweets. Expenses: Rs 10,000 including breakfast at good hotels for 6 nights. Cheapest return flight fares start from Rs. 27,000 (ex-Mumbai). If you are a strict budget traveller, then Nepal is the place for you. Nepal is the cheapest and most beautiful foreign destination for Indians. Nepal includes nature tours that are going to mesmerize you and you will also find religious trips and trekking. 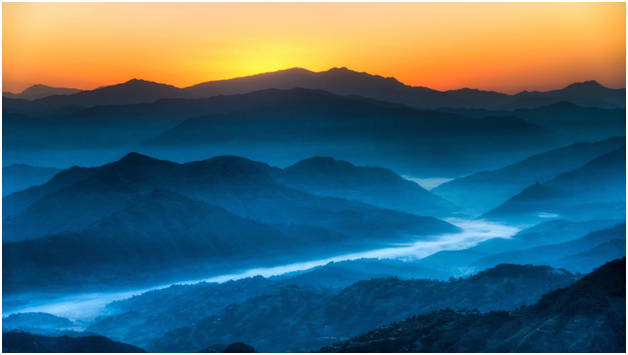 You will wake up to the view of snow peaked mountains and lush greenery, and the best part is that if you are an Indian citizen you don’t even need a passport for Nepal! Must Visit Places: Boudhanath Temple, Hanuman Dhoka, Thamel, Phewa Lake, Annapurna circuit, Kopan Monastery and International Mountain Museum. Things to Buy: Jewellery, Pashmina, Spices, Tea, Statues and paintings. Expenses: Stay for 5 nights for Rs 25,000 including all meals. Flight fares could be in the range of Rs. 10,000 and cheaper from Delhi. You can also travel by bus which would be the cheapest option. Thailand is perfect for both lively nightlife and nature tours too! Many Indians have started frequenting Thailand in the recent years. The place offers many things to all kind of travellers, be it family or newlyweds. If you are a person who loves Thai curries, then why not enjoy the real stuff? You can also get great stuff at budget prices and you will be welcomed everywhere in Thailand. Must Visit Places: Grand Palace, Sanctuary of Truth, Golden Buddha, Wat Rong Khun, Wat Chedi Luang, Jim Thompson House and Wat Phra Kaew. Things to Buy: Silk, Handicrafts, clothing, spa products, lanterns and essential oils. Expenses: Stay for 7 days under Rs 30,000 including food. Flight fare can be in the range of Rs. 17,000 and the cheapest place to land will be Bangkok from Mumbai. Not only Indians, but people from across the globe are visiting Vietnam because of its natural scenic beauty and cheap prices. 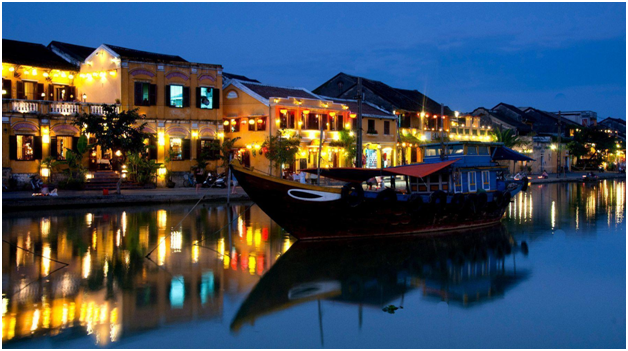 Vietnam is known as the Happy Land and attracts more and more tourists every year. Whether you are a wildlife lover, beach lover, party person or spa junkie, Vietnam has something for everyone! You can even visit local markets or take yacht cruises. Must Visit Places: Vietnam Museum of Ethnology, Imperial city, Ho chi Minh Mausoleum, West Lake, St. Joseph’s Cathedral, Vinpearl and One pillar pagoda. Things to Buy: Iced Coffee, Clothes, Paintings and War antiques. Expenses: 5 day trip for Rs 45,000 including food. Cheapest return flights start from Rs. 23,000 (ex-Mumbai). 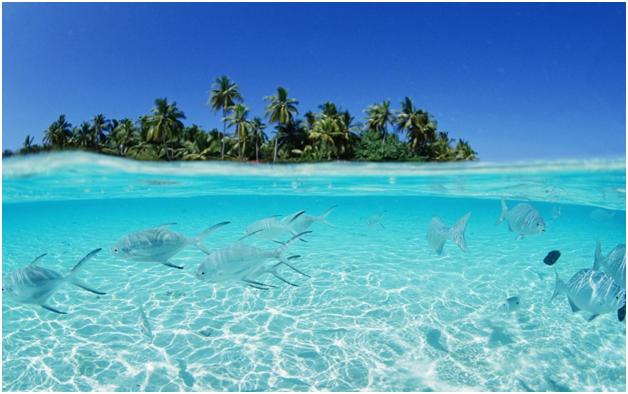 Maldives is very a famous honeymoon destination especially among Indians. It is famous for its water sports and pristine beaches. If you a seafood fan then you will experience heaven in Maldives. Staying with locals is the best way to make the most out of this beautiful country. Must visit places: National Museum, Hithadoo, Islamic centre, Gan, Villingili, Maradhoo, Hulhumeedhoo and Thilafushi. Things to Buy: Jewelry, Spices, handicrafts and wooden crafts. Expenses: 5 days under Rs 55,000 including food. Return fares ex-Mumbai start from Rs. 21,000. Singapore is one of the most beautiful countries in the world. The country offers great variety in terms of nature, culture cuisine and modern architecture. There are colonial monuments and beautiful beaches. You can also get an ‘Indian’ feel here since the small country is home to a sizeable Indian diaspora. 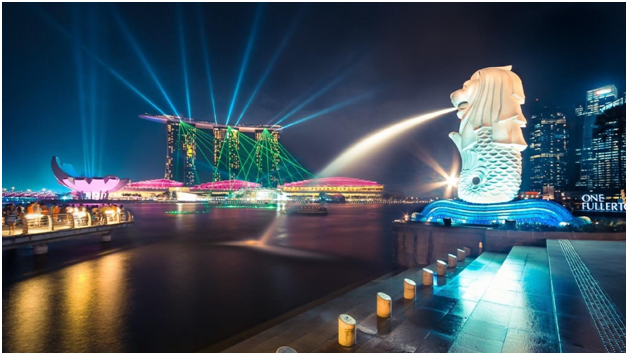 Must visit places: Sentosa, Night safari, Underwater world, Singapore zoo, Tiger sky tower, Jurong bird park and Singapore flyer. Things to Buy: Shoes, bags, clothes, accessories and electronics. Expenses: Stay for 4 nights under Rs 45,000 including food. You can round trip options (ex-Mumbai) for as low as Rs. 17,000 if booked early. 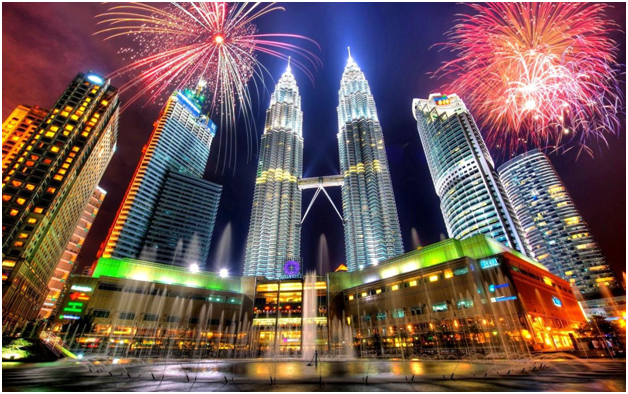 Malaysia is also a favorite destination among Indians and the land will amaze you with the beauty and warmth that you will receive there. 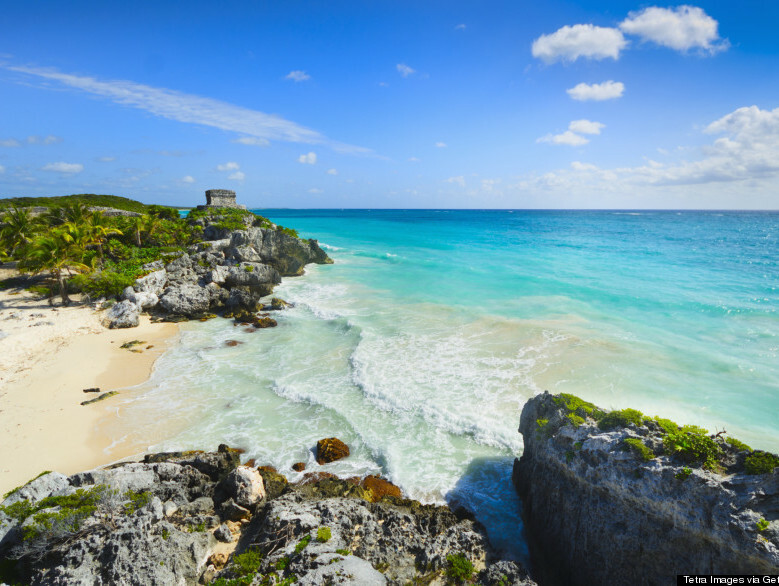 The country has multiple national parks and various beaches that offer to scuba diving. The crazy nightlife will actually leave you wide-eyed and the people will amaze you. Malaysia is very beautiful and is the perfect mix of peaceful and crazy people and places! Must Visit Places: Petronas tower, Bukit Bintang, Kuala Lumpur Bird Park, Batu caves, Kek lok si, Aquaria Klcc and Genting highlands. Things to Buy: Electronics, Batik fabric, Chinese herbs and Pewter ware. Expenses: Stay for 5 days under Rs 40,000 including food. Economy class flight fares start from Rs. 19,000 (ex-Mumbai). Bhutan is one of the lesser explored places quite near to India. 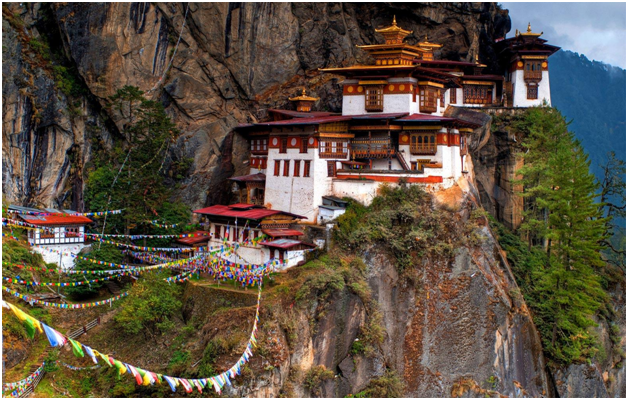 Bhutan is worth experiencing for its Buddhist monasteries situated in the difficult reaches of the Himalayas, scenic beauty, friendly people and a very different culture so close to our country. Bhutan is a cheap and excellent destination. Must Visit Places: Paro Taktsang, Rinpung Dzong, Gangteng Monastery, Punakha Dzong, Kichu Lhakhang, National Museum of Bhutan and Drukgyal Dzong. Things to Buy: Accessories, sweaters, shawls, carpets and Turquoise antiques. Expenses: Stay for 5 days under Rs 25,000 including food. Flight fares could be around Rs. 10,000 (ex-Mumbai). Okay, before you stop reading in shock, there’s a very good reason why we have Pakistan in this list! Look beyond the strife, Pakistan has a shared history and culture with India. 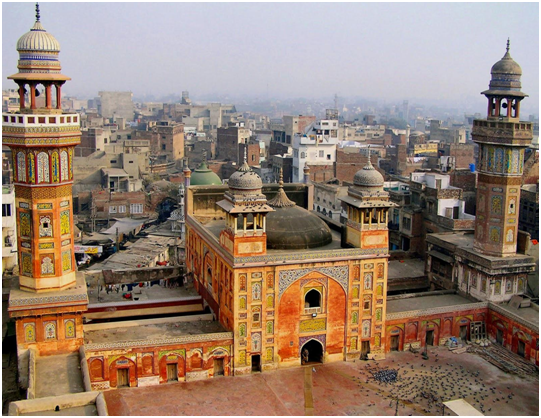 If you love Mughlai food and are a history lover then this country has so much to offer! Pakistan has a rich heritage and you can even see a lot of forgotten Indian lands deep in remote areas of Pakistan now. From the first universities of the world to the ancient Indus Valley civilizations, Pakistan really is worth exploring and is a foodie’s heaven! Must Visit Places: Hyderabad, Karachi, Lahore and Komri. Things to Buy: Electronics, cosmetics, lawn suits and food products. Expenses: 7 days stay under Rs 35,000 including food. Bus travel should cost you around Rs. 5,000 (ex-Delhi) while flight fares could be around Rs. 28,000 (ex-Mumbai). Cambodia has a vast landscape that is beautiful and breathtaking. From stone temples to markets to the Royal Palace, Cambodia has all of it. 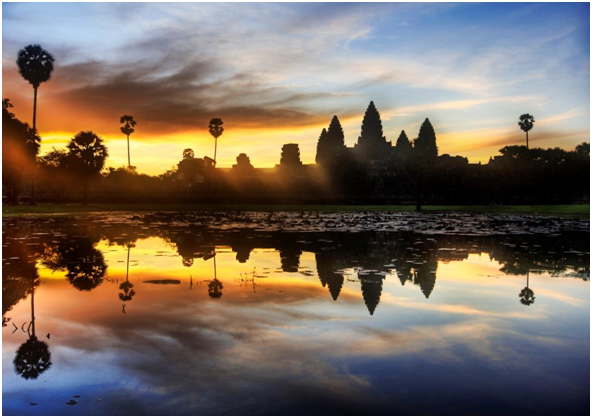 Mainly known for Angkor Wat the place has many attractions and an intriguing history connected to each and every one of them. Must Visit Places: Angkor Wat, Angkor Thom, Bayon, Preah Khan, Independence monument, Preah Vihear temple, Royal Palace and Choeung Ek. Things to Buy: Handbags, clothing, furniture, paintings and silk fabric. Expenses: Stay for 6 days under Rs 10,000 including food. Flight fares are significant as compared to other expenses starting from Rs. 34,000 (ex-Mumbai). 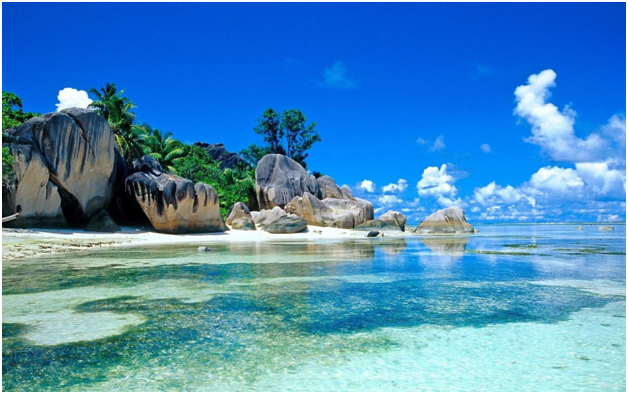 Seychelles is known for its beaches, natural reserves and rare wildlife. 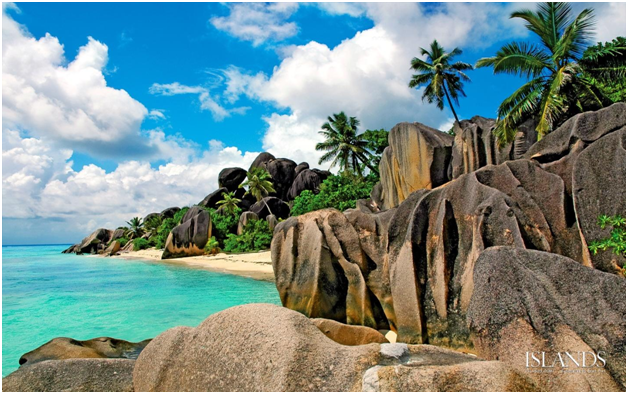 The tiny country also has vast national parks, rainforests and reefs popular among divers. The white sand beaches are also frequented for the variety of rare animals. Ideal for tourists looking for a new experience. Must Visit Places: Curieuse Island, Cousin Island, Aride Island, Sainte Anne marine national park and Bicentennial Monument and Petite Anse. Things to Buy: Tea, perfume, spices and jewelry. Expenses: Stay for 4 days under Rs 10,000 including food. Economy flight fares are in the range of Rs. 41,000 (ex-Mumbai). 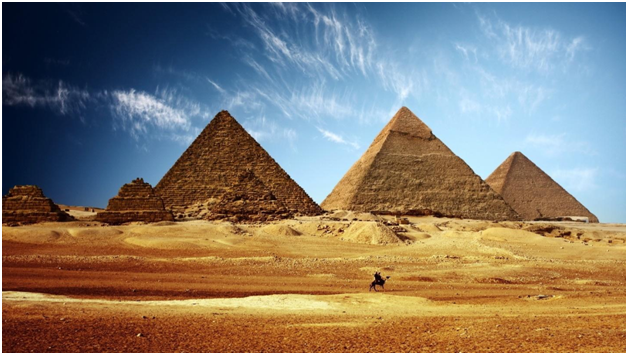 Egypt’s rich culture and history makes it one of the few countries to have such ancient attractions. One of the most populated countries in Africa, Egypt also has Islam and Christianity coexisting in the same country side-by-side. Must visit places: Great Pyramid of Giza, Valley of Kings, Karnak, Khan el-khalili, Luxor temple and Mosque of Muhammad Ali. Things to buy: Woollen wall hangings, ornaments, camel bone items and gold. Expenses: Stay for 4 days under Rs 10,000 including food. Ex-Mumbai flight tickets cost around Rs. 31,000. Turkey is famous for its palaces, Christian domes and the beautiful combination of Greek, Persian and Ottoman influences. Turkey also has spectacular mosques and you will see many different religions living there. There are also many geographical wonders that will leave you spellbound. 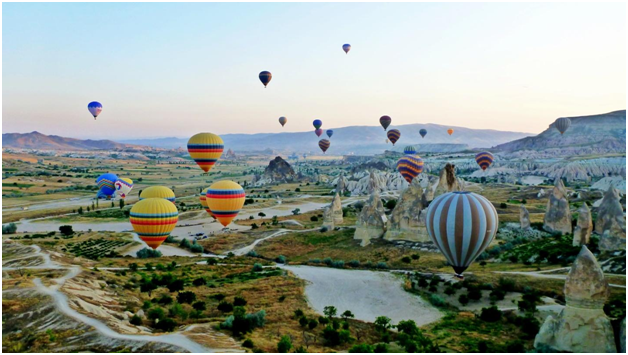 Must visit places: Hagia Sophia, Topkapi palace, Sultan Ahmed Mosque, Chora church, Grand Bazaar, Galata tower and Pamukkale. Things to buy: Textiles, Organic cottons, silver, gold, silk scarves and hand painted ceramics. Expenses: Stay for 7 days under Rs 10,000 excluding flights. Flight costs are in the range of Rs. 25,000 (ex-Mumbai). So which of these countries are you booking your tickets to? Got more suggestions? Share with us in the Comments below!